When YouTube first got its start in 2005, it went live with one piece of content: a video about elephants at the zoo. Now, the company is estimated to be worth a quarter of Google’s total revenue, at $160 billion. And it all started by delivering content to an audience that just couldn’t get enough. YouTube is just one example of how multi-channel networks (MCN) are building incredible influence. With the rise of other platforms — we’re looking at you, Netflix and Hulu — it’s easy to see how impactful MCNs can be on digital communities and revenue generation. As a creator, an organization, or even a city, we know what you’re thinking: How do I get that kind of influence for myself? We’ve spent a lot of time thinking about ways to empower people with the opportunity to influence, and that’s how Endavo’s video distribution automation (VDA) platform was born. With video streaming, there’s a lot of technicalities involved, but we wanted to turn all those complexities into something very influential AND super easy. How easy? “Thirty days to get started” kind of easy. “Upload a video, distribute it on your social outlets with one button” kind of easy. “You need one person not a whole team to operate” kind of easy. So, are you interested in how it all works? Check out what our onboarding process looks like, and how you can start reaching and influencing your audience with a custom VDA platform in four weeks or less. Step 1: Onboard your content. The best part about Endavo is that your custom MCN framework is already built, so the first thing you need to do is gather your content and get it uploaded into your custom platform. It’s a big task because we’re not just looking for you to hand over your videos — we’re also looking for your graphics, metadata, SEO keywords, and more. This helps your videos naturally get better traction, rank higher, and get in front of the audience you’re targeting. Once we’ve done this, we’re more than halfway to launch. Step 2: Incorporate syndicated channels. We’ve already built the infrastructure to seamlessly publish and syndicate any channels you want to stream through your network. What does that mean? If you’ve got a YouTube channel you want to incorporate into your offerings, or you’ve got a channel partner who is interested in streaming with you, we’ve got the process covered. You can go live with any channel or syndication in 30 minutes or less. Great, right? Step 3: Build out apps. Once you’ve got your content loaded into your VDA, it’s time to think about what apps you want to use. 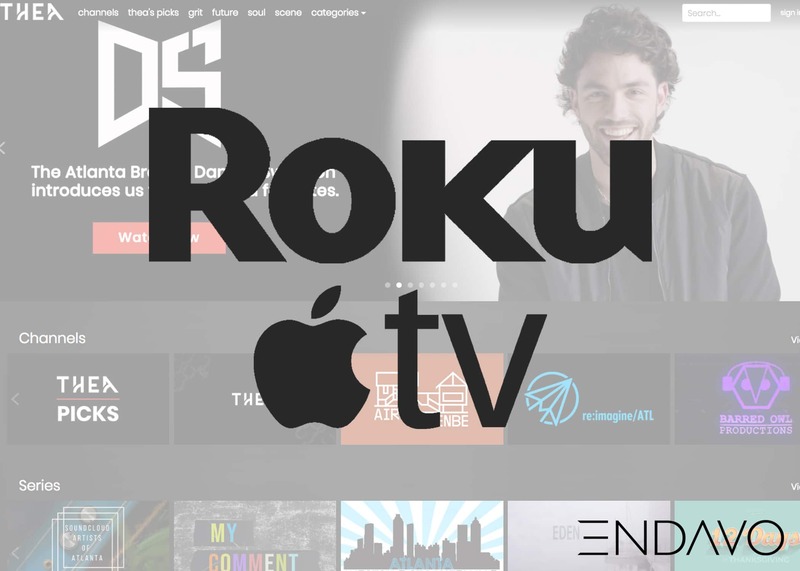 We’ve built frameworks for all of the major streaming devices, including Roku, Apple TV, and Amazon Fire. Even with your desired customizations, we can get your personalized apps built, sent for approval, and live in a matter of days. Step 4: Consider your add-ons. Everyone’s got a couple of things that they want exactly their way. Hey, you may even have a lot of things you want a certain way. This is the time to hash those out. Do you want to include a paywall? Do we need to establish user accounts for your viewers? Are you going to want to stream live? All of these customizations will need to be built directly on your platform so you have the functionality you need to reach the audience you want. Figuring out how you want to monetize can be a big part of this step as well, and we’ve built in a lot of options that you can use to get started exactly how you want to. From the ability to manage advertising and sponsorships, pay-per-view (PPV), and subscriptions, to tip jars, donations, and rentals, we make it easy to personalize in your best interest. Step 5: Let’s go live and build your ideal audience. By the time you’ve made it to Step 6, you’re live and ready to start influencing your audience with the most creative and powerful messages in video content. And you’re ready to do it from one, seamless platform. At the end of the day, we know your content is more than just a bunch of impressive “views.” Your content is about building creative communities, driving economies, and empowering people like yourself to have a voice whenever, and wherever, they have something to say. So whether you’re a creator trying to get distribution, or you’re a city defining your voice, Endavo is here to help you have the influence that moves communities toward a better tomorrow.